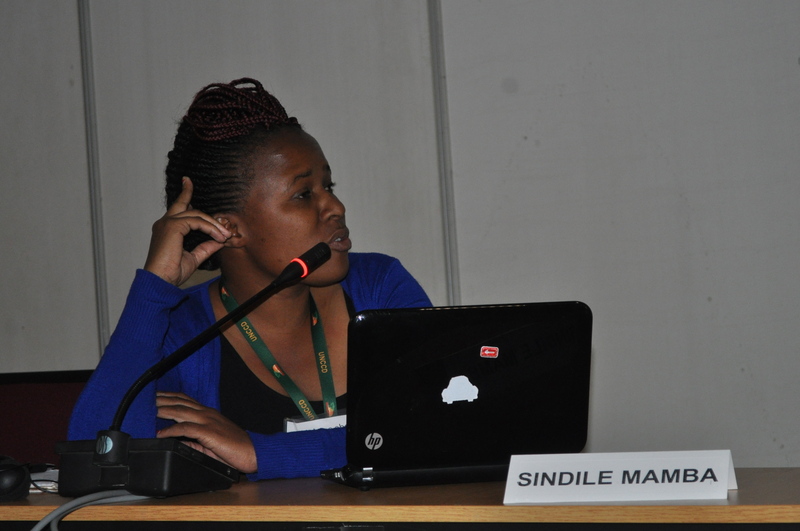 The session was moderated by Masego Madzwanuse, Economic Justice Programme Manager from The Open Society Initiative of Southern Africa (OSISA). Fatima Ahmed, President ofZenab for Women in Development, an Equator Prize 2012 winner, outlined the main areas of work covered by her initiative: poverty alleviation and food security, education, and reproductive health (download presentation). Zenab for Women Development was established in 2005 and has since grown to include 3,000 women in 53 communities across the State of Gedaref, Sudan. This union of women farmers provides a platform to improve agricultural productivity and exchange environmental practices. Sindile Mamba, representing Swazi Indigenous Products (SIP) - an Equator Prize 2012 winner, described the SIP mission of enabling women to harvest and sell seeds from the marula tree, an indigenous Swazi tree, which has subsequently stimulated income generation in the local community (download presentation).SIP also runs a tree-planting program and offers environmental education training for over 2,400 seed collectors. Maria Tharacky Namupala, Education Coordinator of the Working Group of Indigenous Minorities in Southern Africa (WIMSA), gave an overview of the organization's initatives for women empowerment. 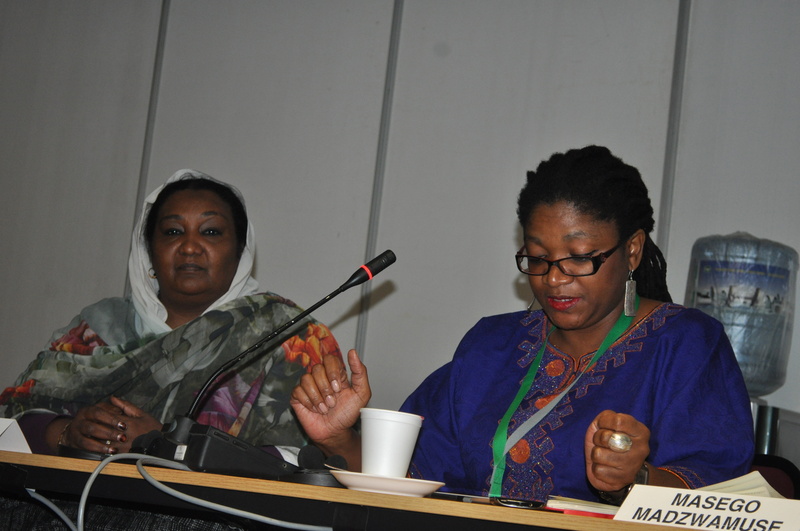 WIMSA is a membership organization that coordinates San Councils in Namibia, Botswana and South Africa. Since its inception, WIMSA has seen successes in gender equality, such as promoting the Combating of Domestic Violence Act in 2003, encouraging San women to be councilors on the political levels, and increasing the access to education. 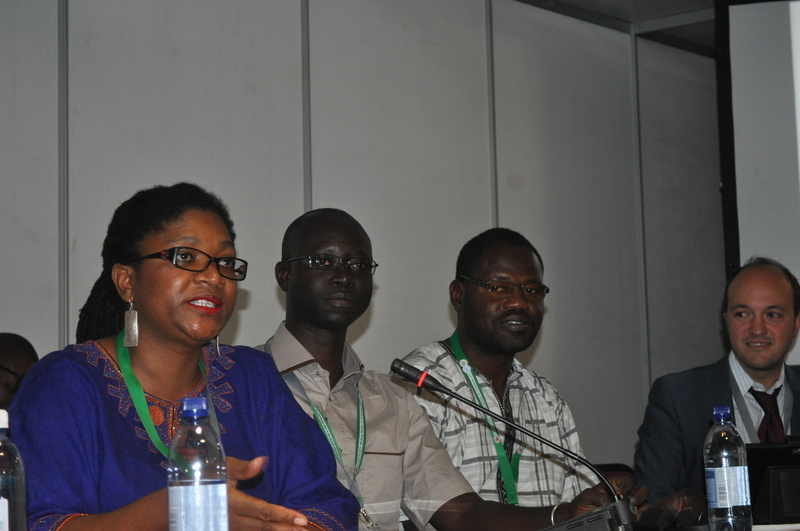 The session was built around a panel that was charged with discussing the challenges of ensuring civil society organization (CSO) involvement in sustainable land management processes. 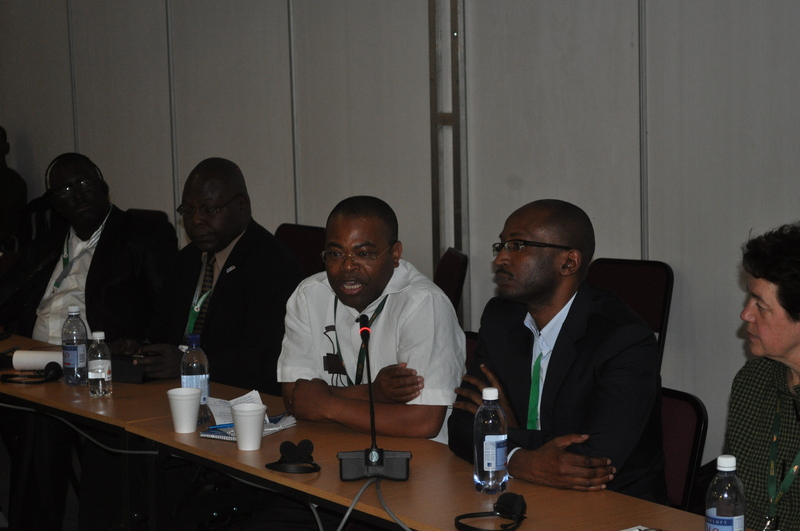 Attended by more than 50 participants, the panel featured representatives from The Open Society Initiative of Southern Africa (OSISA), United Nations Convention to Combat Desertification (UNCCD), Environment and Development Action (ENDA), Southern Africa Resource Watch (SARW), Spatial IQ and the Equator Initiative. The panel looked to address the primary question of how civil society organizations can be strengthened to better address land degradation issues. Moderated by Juliane Zeidler, Chairperson of the International Union Commission on Education and Communication, the session opened with a statement from H.E Neville Gertze, Namibian Ambassador in Germany. Masego Madzwamuse, Economic Justice Programme Manager of OSISA, outlined some of the anticipated outcomes of the Better Land Use, Better Future for All project, which include: i) increased technical capacity of civil society organizations; ii) improved coordination of African civil society organizations; and iii) recognized, rewarded and up-scaled community innovation in sustainable land management. Claude Kabemba, Director of SARW, highlighted some of the potential barriers to success in strengthening civil society involvement, including land grabs, incomplete legal and institutional frameworks, and a disjuncture between policy and legislation. Kingray Gowen, Spatial IQ, and Emmanuel Seck, ENDA, suggested that decentralization is a viable method for advancing win-win environment and development solutions. 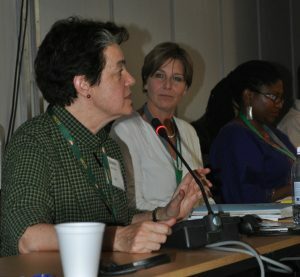 Eileen de Ravin, Manager of the Equator Initiative, shared her take on the process of taking local successes to scale. She suggested that one way of mobilizing communities could start with identifying specific threats to a society, prioritizing to address those threats where the community felt capable of achieving success, gaining social traction by tackling one of these threats, and then leveraging that success and community solidarity to address other collective action problems. Marcos Montoiro, UNCCD, explained that one challenge to CSO involvement is in implementation - there is a need for increasing the number of CSOs engaged in the Rio Conventions, as well as an appreciable increase in the quality of their engagement.